I’m a great Sherlock Holmes fan, so while browsing in a bookstore in New Hampshire the title caught my eye. I read the publicist’s blurb on the book jacket and was immediately captivated. I was impressed with the amount of knowledge about Holmesiana possessed by the 28-year-old author. 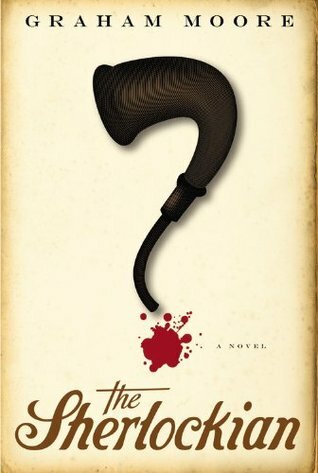 In the voice of Harold White the author says “Can you write a mystery story that ends with uncertainty? Where you never really know who did it? You can, but it’s unsatisfying. It’s unpleasant for the reader. The reader needs to know. Justice is optional, but answers are mandatory. And that’s what I love about Holmes. That the answers are so elegant and the world he lives in so ordered and rational.” By the end of the book we agree with that observation as the mysteries at the heart of the story are all resolved and we know. There are a few expletives in the book but essentially it is a clean read. Disclosure: I bought this book and was not compensated in any way, nor told how to rate or review this product. This sounds like a book my library book club would enjoy. I love Sherlock Holmes! Thank-you for the great review! I've heard others say this is an excellent book. I can't wait to read it. I remember when this one first came out, there was a lot of buzz surrounding it. Great review!